The O.A.A.R.S 2 Meter Talknet is Every Monday Evening at 8:00 PM on the 146.940 Repeater, PL 103.5, From West Branch Michigan. The O.A.A.R.S Digital ,C4FM, 2 Meter Round Table Talknet is Every Tuesday Evening at 7:00 PM on the 146.940 Repeater, PL 103.5, From West Branch Michigan. LOCAL ARES TRAINING NET THE FIRST MONDAY NITE OF THE MONTH AT 7:30 PM ON THE 146.940 O.A.A.R.S. REPEATER - K8OAR - IN WEST BRANCH MI. The Amateur Radio vanity call sign regulatory fee is set to disappear in the next few weeks. According to the best-available information from FCC sources, the first day that applicants will be able to file a vanity application without having to pay a fee is Thursday, September 3. In deciding earlier this year to drop the regulatory fee components for Amateur Radio vanity call signs and General Mobile Radio Service (GMRS) applications, the FCC said it was doing so to save money and personnel resources. The Commission asserted that it costs more of both to process the regulatory fees and issue refunds than the amount of the regulatory fee payment. 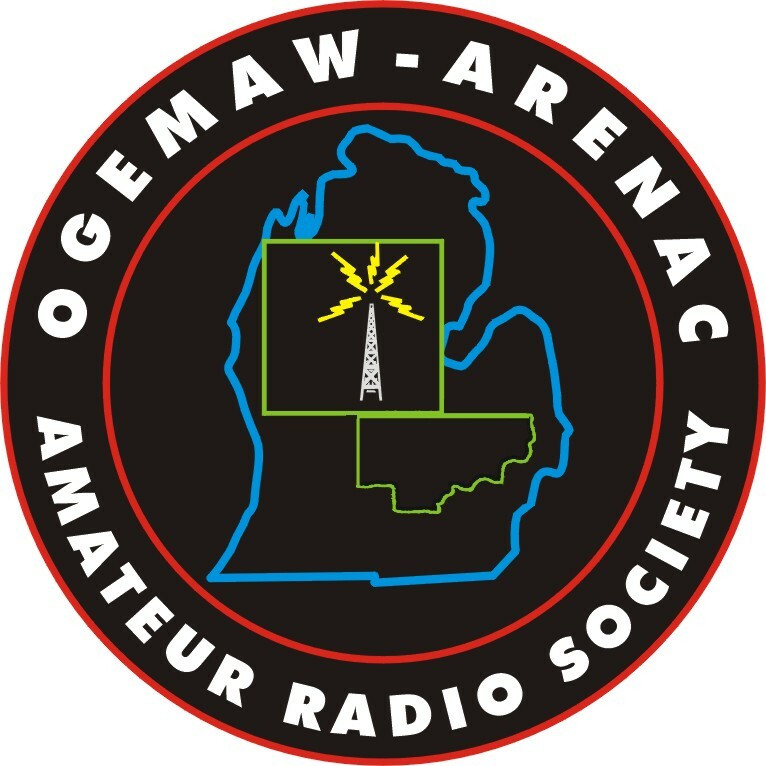 The Ogemaw Arenac Amateur Radio Society will meet at the Mills Township Hall 2441 Greenwood Road In Skidway Lake at 7:00 pm. For more information about the club, or other Amateur Radio related events Call or Talk to Any Club Officer or Club Member for additional information. Come join us at the Fair and help promote Amateur Radio. Set up is 10:00am Aug 13th Tear Down is 10:00am Aug 19. Help is also needed to work the booth Tuesday thru Saturday, contact a club Officer to sign up or talk to us on the Monday night Net. The Ogemaw Arenac Amateur Radio Society Fall fox hunt is Oct 13th, 2018, start time is 9:00 AM. Fox hunters will meet at Irons Park in West Branch before the start.Come out to show of your direction signal finding skills and join us for the fun. The Ogemaw Arenac Amateur Radio Society Club Picnic held at the Elbow Lake Park off of Lucinda Dr. in Skidway Lake was a big success. Those in attendance enjoyed Bratts, Burgers and good conversation at this Beautiful Park. Thanks to all who participated in the QSO Party to support our club.